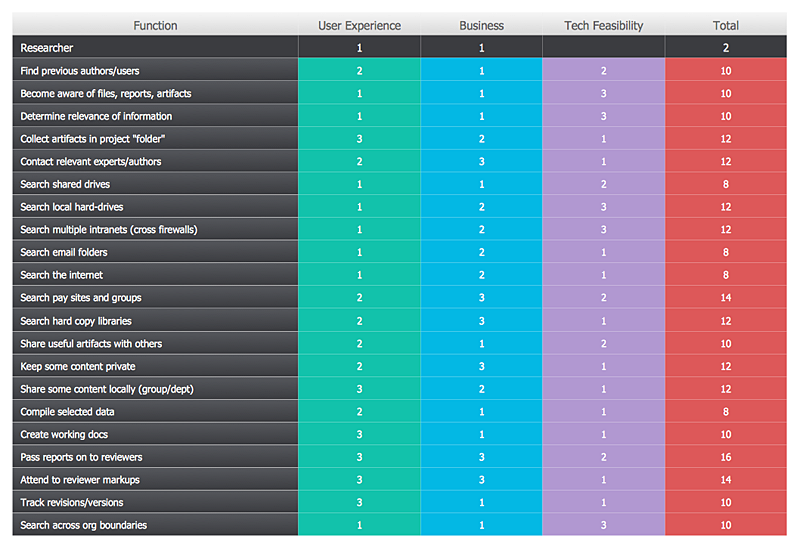 The Prioritization Matrix ranks the driver factors using a set of criteria. It identifies the factors of the first priority for analysis of possible corrective actions. It assesses the weight of each factor for each criterion and specifies it in the Prioritization Matrix. The total sum of weights for a factor’s criteria indicates its priority. The ability to create a Prioritization Matrix is supported by the Seven Management and Planning Tools solution. Create new Document using “Prioritization Matrix” template. Enter criteria, factors, and rank factors. Use the options provided in the Format panel to customize appiarence of your matrix. Result: Select the highest priority factors to be analyzed for possible corrective actions.